Kali Kossakowski of Elgin, Ill.
Kali Kossakowski, a senior nursing student, was recently featured in the Daily Herald. 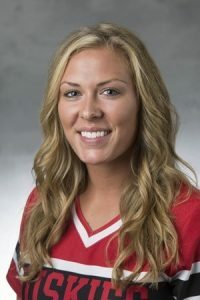 Kossakowski talks about her achievements as a middle infield for the Huskies Softball, her volunteer work, and career aspirations are featured. We’re proud of you Kali! Read the article here.